For the generation of 1976, one of the fruits of their sacrifice was that with freedom, came the option of not having politics define everything they did. For leading resistance artist Sam Nhlengethwa, it was a chance to focus on another subject very close to his heart – jazz! In 2011 Simba has the privilege of visiting Sam and his gorgeous family in their city centre apartment. 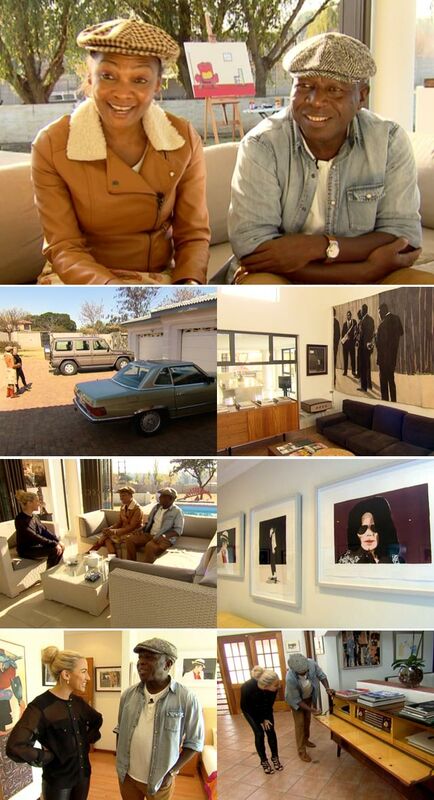 This week on Top Billing it is Roxy turn to pay a visit to the Nhlengethwa family! Don't miss this exclusive look into Sam's incredible art collection and his passion for jazz and vintage cars!